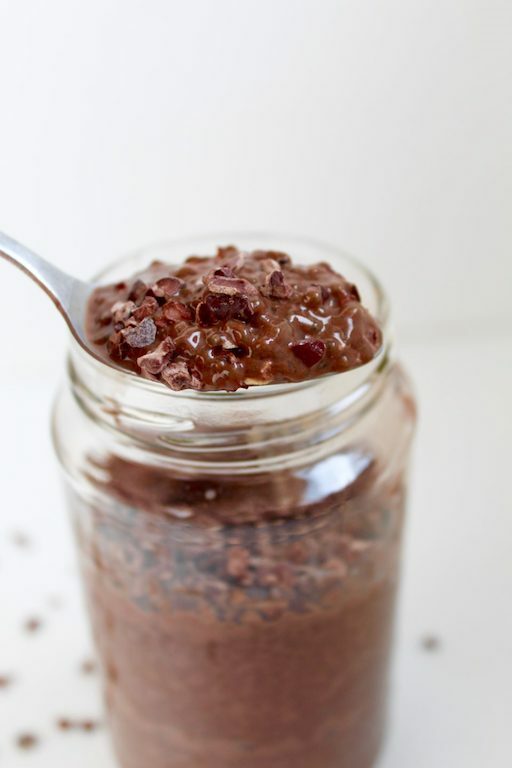 Dark Chocolate Chia Pudding — A recipe for dark chocolate lovers! This chia pudding is healthy enough for breakfast, and sweet enough for dessert! Layered with cacao nibs gives this treat an extra chocolatey crunch! This post is sponsored by MyProtein All thoughts and opinions are my own. I was not compensated for my time. We are knee (waist?) deep in a blizzard up here, so at least I have that going for me at the start of a new week. And that my friends is why chocolate (and wine) exists. And it just so happens that tomorrow is the national day of roses and chocolate. I’m usually a hipster when it comes to Valentine’s Day, meaning flowers and heart-shaped boxes of chocolates are actually the last gift I’d want to receive. A dozen of these chocolate pb covered strawberries on the other hand are a go any day, every day. But I know I’m weird and in the minority when it comes to most things, and I think every day (especially blizzards on a Monday) can start on the right foot when chocolate is involved. 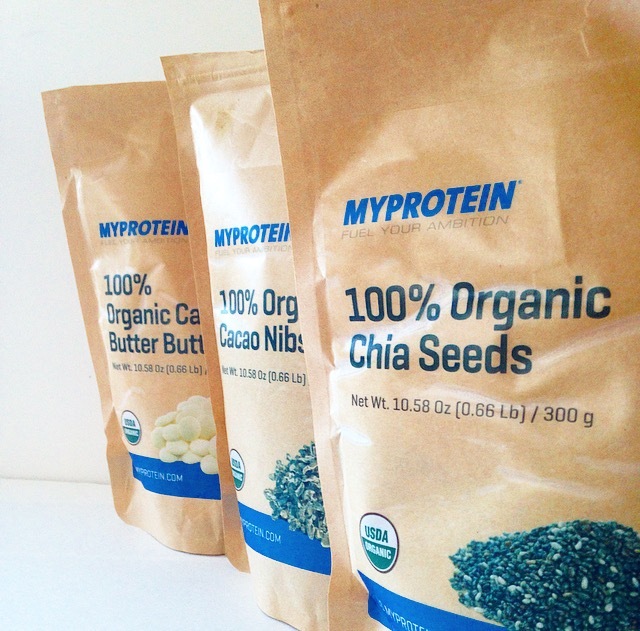 I’m no stranger to adding MyProtein’s protein powders to my morning smoothies and even bowls of oatmeal, but I was excited to hear about their new line of organic products that inspired this choco-lover’s creation. That is, if you like your chocolate of the tall, dark, and chia variety. If you’ve never had cacao nibs, much like me before making this, they are bits of cacao beans, aka the healthy fruit that chocolate is made from prior to adding all that deliciously addicting sugar. I love the big ol’ crunch they give to this chia pudding, because I’m all about that texture thang. PLUS they’re full of all those antioxidants, fiber, and omega-3’s us nutrition people are always going on and on about. This makes enough to power one chocolate loving BA through a Monday morning, but if you’re in the mood for sharing during this season of love, this would make a sweet little ending after a dinner for two. AND you deserve a gold medal for such an act of kindness and generosity. A recipe for dark chocolate lovers! This chia pudding is healthy enough for breakfast, and sweet enough for dessert! 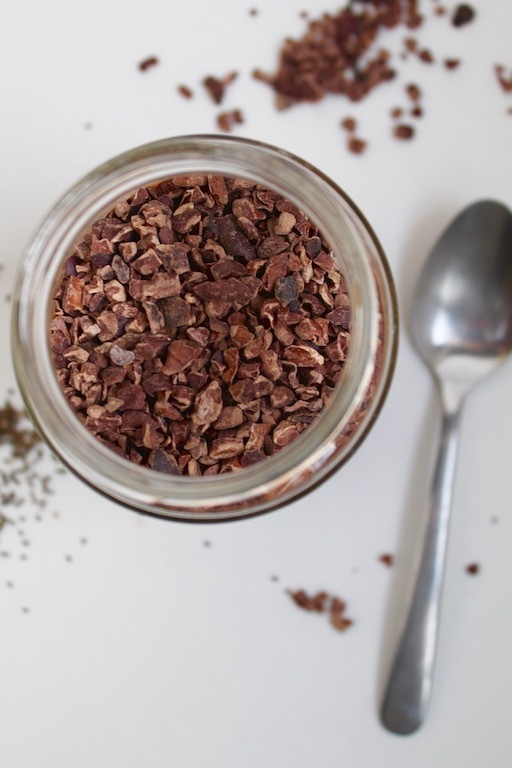 Layered with cacao nibs gives this treat an extra chocolatey crunch! In a resealable jar or bowl, add chia seeds, protein powder, cocoa powder, almond milk and sweetener. Stir to combine and let sit in fridge for 30 minutes. Stir mixture again, and refrigerate for at least 2 hours or overnight. Top with cacao nibs and enjoy. Want to give these products a try? Use my referral link to get 25% off your order of $30 or more! Um, DEFINITELY chocolate over roses. This pudding looks great! I’m not a huge pudding fan – I think I was never a fan of the texture – but my husband looooves pudding so I’ll be making this for him. You’ve got a MAJOR dark chocolate lover over here!!! Haha I haven’t made a lot of chia puddings but this is definitely going on my to-make list! YUM! HOW STINKIN’ DELICIOUS!!!! I need this! Want this. MUST have this! I love chia pudding, and the addition of chocolate just makes it that much better yum!! I am definitely a dark chocolate lover! And a lover of chia pudding- so this is right up my alley! 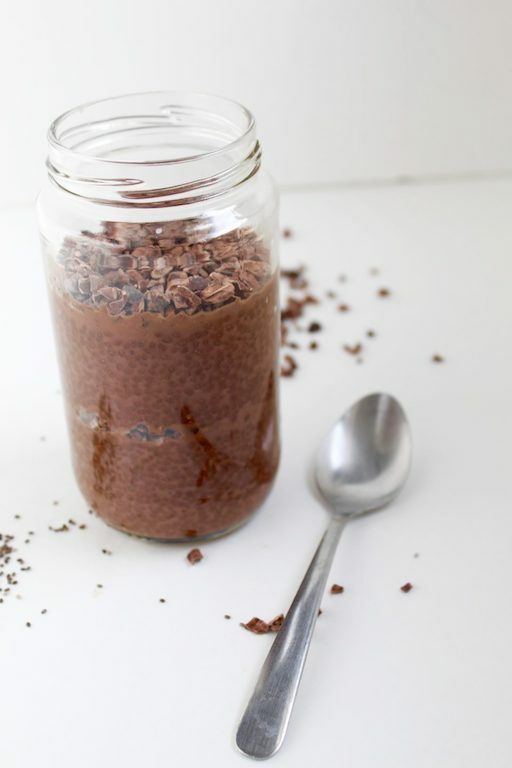 I’m OBSESSED with chia pudding and chocolate (duh) so I feel like this recipe was made for me!! YUMMM!! I’m not usually a fan of chia pudding, but I think this version might convince me otherwise. 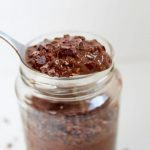 LOVE chia pudding, especially chocolate chia pudding packed with protein. I’m thinking this needs to be breakfast tomorrow! I’m with you on the usual gifts. No thanks. But give me dark chocolate ANY DAY and I’m yours. This looks way way way too good to be healthy. No way am I sharing. Ahh! This looks so good! I love all the ingredients too! Chia seeds pack such a great punch and can help with getting that filled feeling when eating.. and the chocolate is just a given bonus! Yum! Oh girl, I am all over this! I am definitely a dark chocolate lover! Oh no! That’s a lot of snow! Luckily this recipe is genius! I’m a total chocolate lover. Maybe I’m just really out of touch with current things , but what is a chocolate-flavored sweetener? I’m super interested in making this but I have no idea what that means. Thanks for your help! Hi Alannah! They are usually stevia-based drops, and come in all different flavors, chocolate being one. You could use your favorite sweetener in it’s place though!